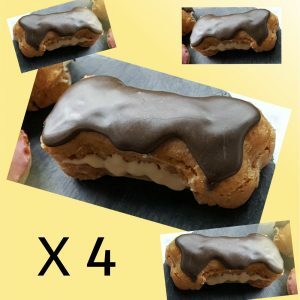 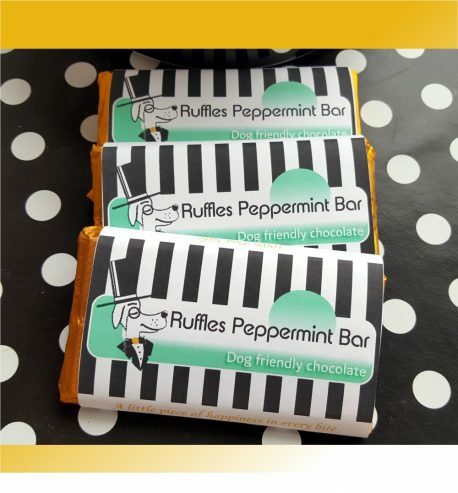 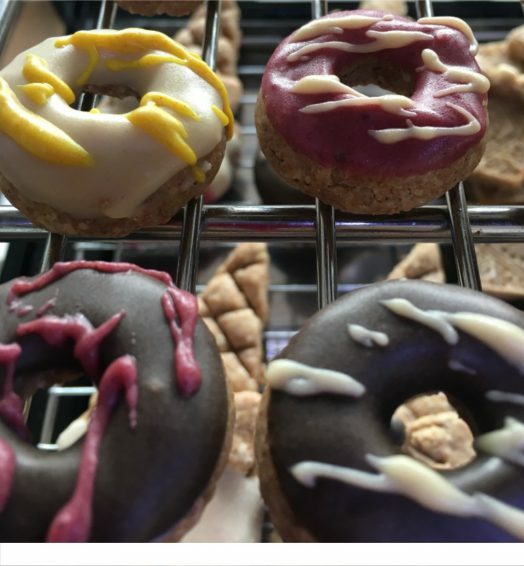 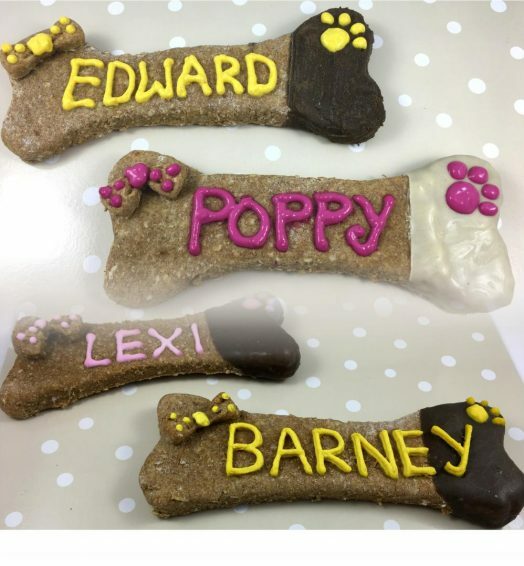 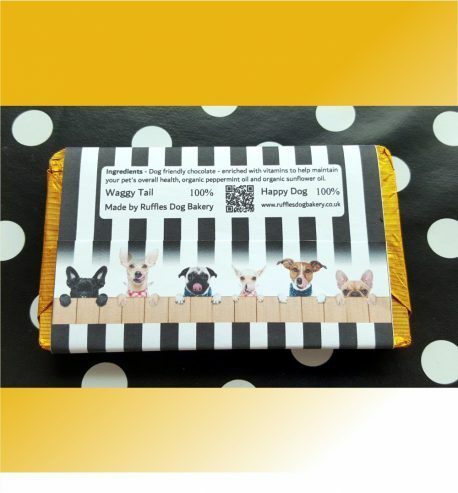 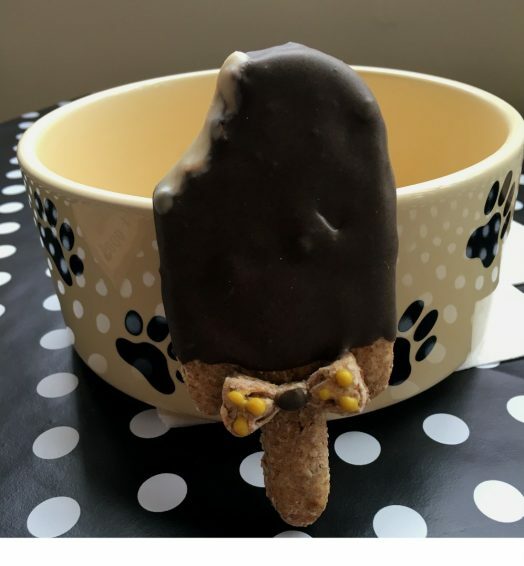 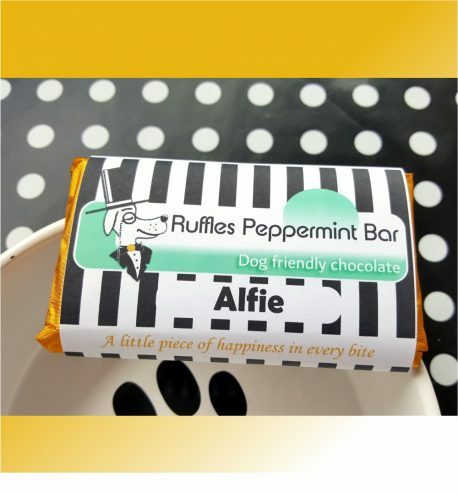 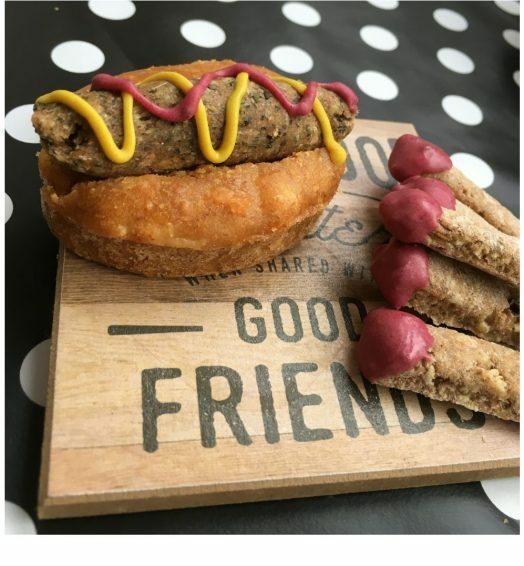 Chocolate Cream Eclairs are made with wholemeal self raising flour, smooth organic peanut butter, shredded carrots, diced apple and sandwiched together with dog friendly white chocolate and topped dog friendly carob chocolate. 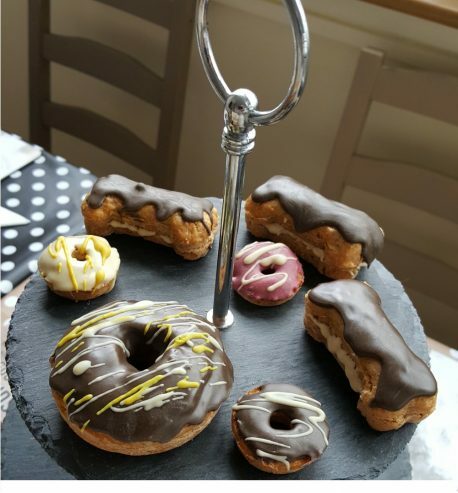 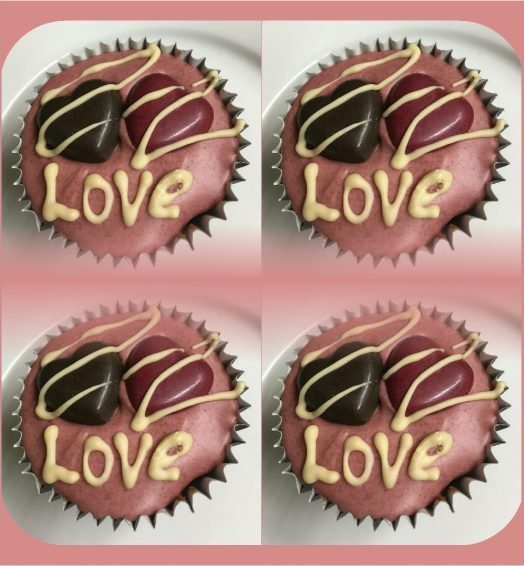 Baked fresh to order and despatched direct to you within a day of baking. Chocolate Cream Eclairs stored correctly should have a shelf life of 7 – 10 days.